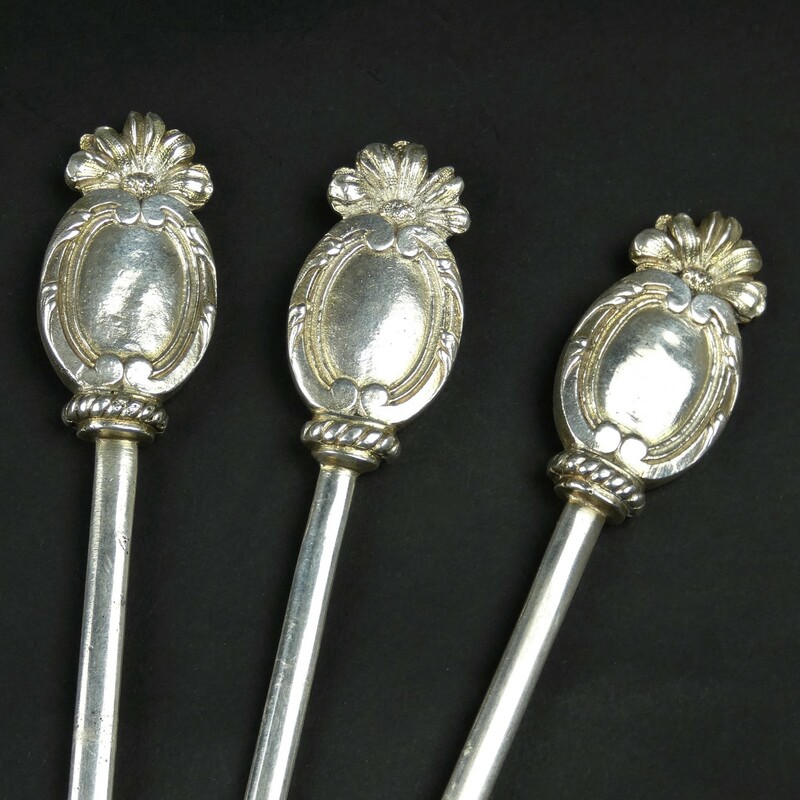 A set of three silver plated hatelet skewers with classical design to the end. These are good quality and they date from c.1880. 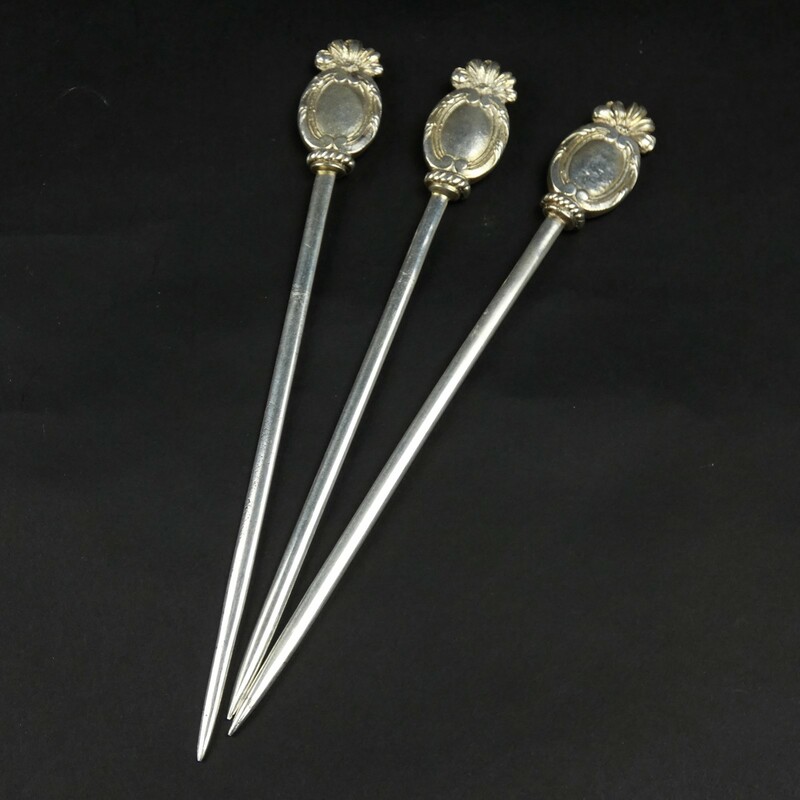 Although the designs are the same the skewers are all slightly different lengths, ranging from 22.2cm. (8 3/4") to 25.4cm. (10") long. The design, which includes classical scrolls surmounted by a flower, would lend itself to engraving as there is quite a large, central section which could be engraved with a name or monogram. 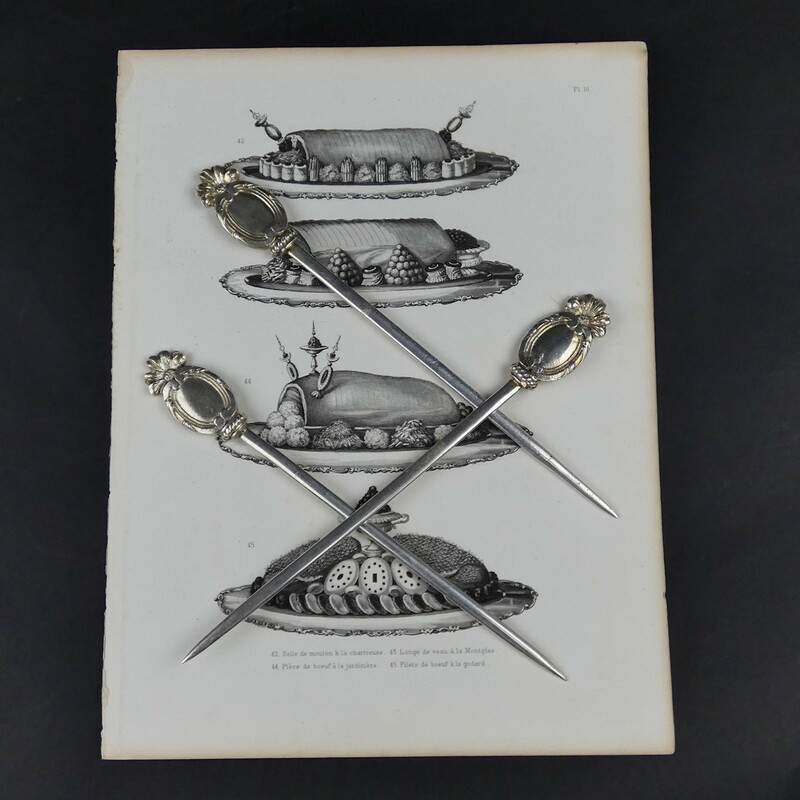 This type of skewer was used for ornamenting meat or desserts when taking them to the table. They are all in very good condition. Simple French absinthe glass; beer, wine, Pimm's!